Is a Dry and Itcy Scalp Causing You Problems? What can I do about my itchy dandruff?! Many patients come in with the complaint of itching and flaking on the scalp. When I examine their scalp, I often see flaking or scaling throughout. Sometimes patients will often have some flaking in the eyebrows or sides of the nose or ear canals as well. This is an easily treatable condition called seborrheic dermatitis. The lay person term is ‘dandruff’. Although people complain of ‘dry scalp’, the condition has nothing to do with the scalp being dry. Seborrheic dermatitis is caused by a yeast that is in the oil secretions on skin or inflammation or a combination of the two. Babies who experience this more severely are diagnosed with ‘cradle cap’ and individuals of all ages may develop seborrheic dermatitis. The signs and symptoms may be more severe if one is under stress or in the cold, dry seasons. Treatment is aimed at decreasing the yeast and inflammation in the oily areas of the scalp or face. 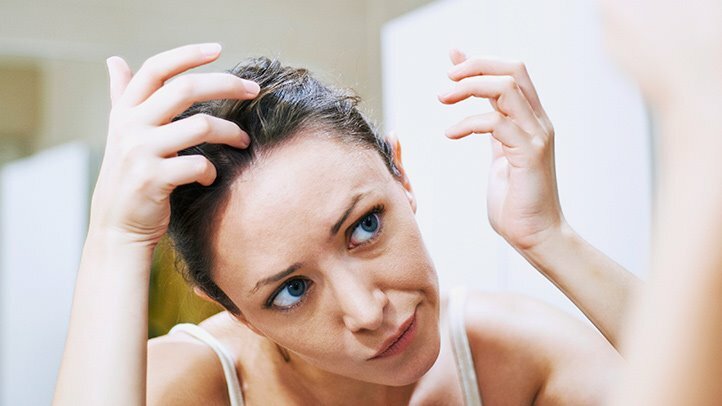 An over the counter dandruff shampoo containing zinc pyrithione, selenium sulfide or ketoconazole applied to the scalp face and ears for 3 minutes a few times a week may result in improvement. It’s important to realize that usually this is a chronic condition and treatment must be maintained periodically once improved or the condition will recurr. If over the counter treatments do not bring relief from the itching and scaling, see a dermatologist who may prescribe prescription strength shampoos, anti yeast creams and topical corticosteroids. Usually this condition, once recognized, is easily treatable. Dry hands got you down?